Spine has chips and cover has creases. Back cover is missing. 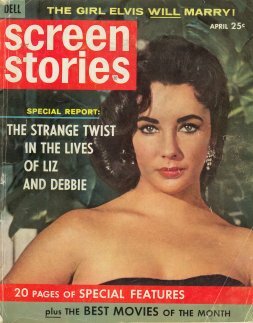 Cover depicts Elizabeth Taylor. Features Angie Dickinson, Cry For Happy, Romanoff and Juliet, All In A Night's Work, and The Right Approach.